I studied Human Biology for four years at the University at Albany. After graduating, I originally wanted to do something in the medical field since I had many options with where I could go with my degree. After some time and thought I began studying to go to dental school, but soon realised it was not for me. I also started prepping for physicians assistant school and then later, nursing school and eventually realised I did not want to do any of those things. Our readers would love to get to know you more Paul. Tell us about yourself, what is unique about you, your brand or the services you offer? I am a deep thinker, observer/people watcher. Paul, what are your passion and aspiration in life? How did you start as a Photographer? My new found passion in life is to become a successful full-time photographer or travel photographer. I would love to be able to work with unique brands that resonate with me to create high content for them. Who is your inspiration in life Paul? How do you stay inspired as Photographer? There are a couple of people that inspire me. One of those inspirations is one of my peers who runs his own very successful social media marketing company. I'm also heavily inspired by other photographers that I like to follow on Instagram. There are so many amazing creatives out there that I would be honoured to learn from. We all make mistakes Paul; we wish we could take back. What was the error you made in the past that you want to you can bring back? I wish I picked up a camera earlier on in life! Paul, How do you describe yourself in terms of working with clients? I think I work well with clients. Communication is key of course, and I always try to "meet them halfway." Please tell us, Paul, how do you prioritise work, social life, friends, and family? Right now at the age of 23, developing my work and business comes first, as long as my family is taken care off of course. Paul, please give us an example of a time when you were able to persuade someone to see things your way at work successfully. Paul, please tell us about your proudest professional accomplishment as a Photographer. Paul, please give us an example of a time you were able to be creative with your work. What was exciting or challenging about it? Most recently a friend and I visited a sculpture garden in New Jersey. Neither of us had ever been there before, so the specific areas we used for the shoot were utterly unplanned. 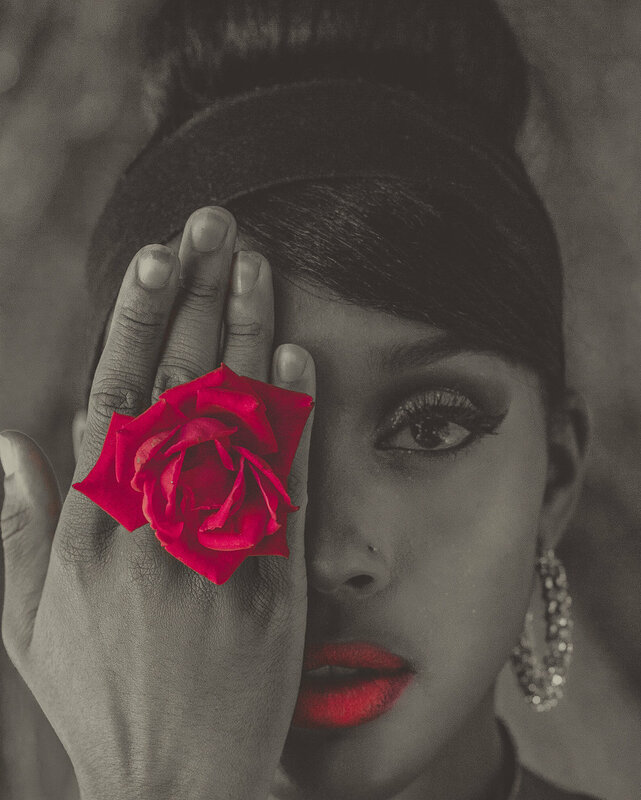 I found a red rose that complimented her well, being that she was also wearing red, and decided to use it as a prop for several photos that I plan on submitting and I'm VERY excited about the way they came out.